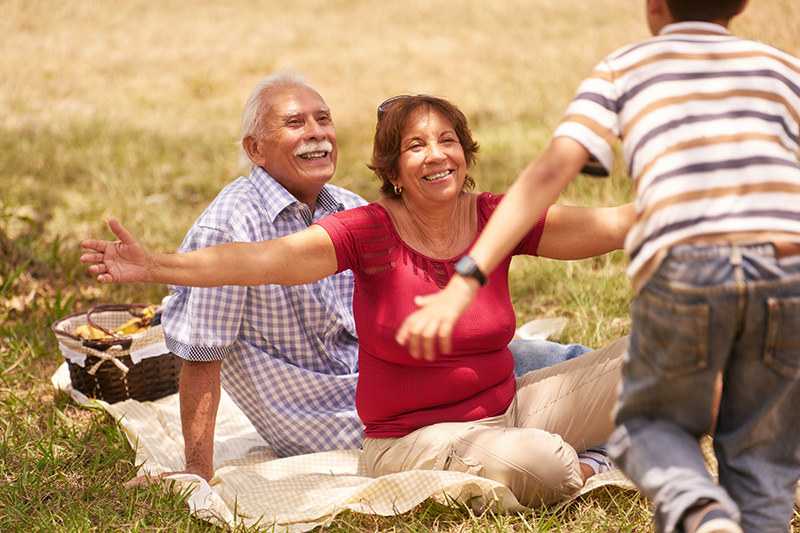 There is a special bond from the moment of birth grandparents have for their kid’s kids. They have your heart from the beginning to the end. Sometimes beyond that. I still dream about my granny and grandpa and it’s so good to see them. In my drowsy waking moments I think, I have to go see them today, it’s been awhile. Then as I fully wake, I’m sad because I remember they have passed on many years ago. Their effect on my life still resonates. The impact you have on your grandkids is incredible. Whether you are raising them or not. You have a tremendous opportunity to make a difference in the next generation. You can do it! To keep these kids safe, healthy, happy and productive is awesome. You can enable them to live in victory. Grandparents can save the United States of America, one child at a time. There is an epidemic or grandparents raising grandchildren. “About 2.7 million are totally responsible to raise their grandchildren.” In Indiana alone “54,174 children live in homes with grandparent householders where grandparents are responsible...” and it is estimated that these stats have significantly risen since those numbers were establish in the last national census. I am part of those numbers. In April 2014 my son died in an auto accident and my husband and I became guardians of his 18 month old son, Anthony. Zachary, our son, asked us two weeks before the accident if anything happened to them, would we take care of Anthony. We said yes, never dreaming it would really happen. It has been quite a journey, being parents again in our early sixties. We feel it is an honor to raise him to be a godly young man and a productive member of society. I retired from nursing and found a new passion, grandparents raising grandchildren. I began a blog called awesomegrandmothers.org to support and encourage anyone raising children, especially grandparents. Pray daily for wisdom for you and your family. It is fantastic that you are not alone! Your grandchildren can conquer the past and live in freedom. Advance one foot in front of the other. Do what needs to be done, one step or one minute at a time. Press through the haze or the pain. The kids need to be fed or the baby’s diaper needs changed. What needs done will often spur you forward. Connect with friends, family, support group or counseling. This connection is like an electric cord that energizes and keeps you going. Get coffee and chat with a friend, it will help you process what is going on in your life. Connect with yourself and journal, this gets your thoughts and feelings out there and helps you sort through them. Reading a good book can be like a counselor. I read “Parents in Pain,” by John White multiple times when my son was acting out. Maintain a positive demeanor. Speak words of affirmation over these kids who may be broken. Do it with excitement and enthusiasm! I sing “Good Morning Sunshine” loudly and with animation to Anthony every morning with hugs and kisses. My husband Sam says to Anthony, “Who is my favorite boy in the whole wide world?” He says with giggles,”I am!” It may take time, but the seeds you sow into the kids will grow into an abundant harvest, transforming and validating their lives. Take a walk. Do it whether you feel like it or not, your emotions will follow. If you put green grass, blue skies, red flowers and laughing people in front of your eyes, they will bring you a refreshing moment in the midst of your pain. Exercise releases chemicals in your body called endorphins that make you feel better. Care for yourself or you won’t be any good to anyone; kids, grandkids, spouse or friends. Build yourself up so you have strength and stamina for the journey. In an airplane you put your oxygen mask on first so you will be clearheaded to help your kids put their mask on and save their lives. Do what brings refreshment for you daily, even if just briefly! You have a tremendous opportunity before you to make a difference in the world around you. I have heard many grandparents raising grandchildren say they would not have it any other way despite the challenges. There is a joy that cannot be expressed as you tackle this passion. These grandparents are heroes that are saving the next generation. Their reward is seeing the little ones blossom and receiving their love and appreciation as they become productive, respectful and caring people . We know, we have been there, done that and got the T-shirt, the whole wardrobe of reward! It makes life and everyday exciting and fantastic. Debbie Bowman is mother of five, grandmother to seven and great-grandmother to four. Now retired from a forty year career as a nurse in intensive care Debbie is taking her intensive care to awesome Grandmothers who are raising their grandchildren. “Households and Families 2010:U.S. ,” US Census Bureau, April 2012. Parents In Pain: Overcoming the Hurt & Frustration of Problem Children, by Dr. John White, Publisher: InterVarsity Press; 1st edition (January 24, 1979).